"If Jaws kept you away from the ocean, Drowned Sorrow will keep you away from any water!" "The horrors that hide in the dark shadows and unknown depths of Moonlight Creek are in many ways externalisations of the main character's trauma. Morgan is using the accursed township to say something about relationships. As we all know, if you hold onto something too tight, it may well slip through your fingers, sometimes literally. The town is also awash in rain, clearly a symbol of cleansing. The novel is full of such symbolism which elevates it from simply being a ghost story to being something of a study of grief, the family unit, and how we deal with both. It is thougt provoking, intelligent stuff, and makes for a fascinating read. Each scene from the tough opening till the final moments when the town's secrets are revealed, is tense, atmospheric, and often very disturbing. As a lover of classic horror and of a good ghost story, this novel had me at 'hello'." "This is definitely one of the better Horror novels I have read in quite some time. I saw a reviewer call Mrs. Morgan the 'female Stephen King' and I can't argue with that. Drowned Sorrow reminded me of an old school Stephen King story. The story telling is simple enough, yet very descriptive. With every scene I read, I was able to picture it in my mind, just like I was watching a movie (speaking of that, someone needs to make a movie of this book asap)." "After reading only a few pages of Drowned Sorrow, I was immersed in the story. Both the setting and the characters are well-crafted. Wonderful, creepy details abound, such as walls and ceilings leaking water around the corners and edges, and a grocery store that only sells water, which add to the menacing atmosphere. I can imagine this as a movie, with the eerie, icy cold lake that seems to have a mind of its own, the pallid, expressionless villagers, and the constant dreary rain, dampness, and puddles. (...) I was shocked not only by the chilling contents but by how great I thought this book was. It's everything horror fiction should be: creepy, scary, suspenseful, and yet also touching. I thought this was a great read! Vanessa Morgan is a very talented screenwriter and novelist. Drowned Sorrow will be made into a movie, directed by Drew Barrymore. I can see this as the next The Shining, and will rush out to see the movie." "Vanessa Morgan's Drowned Sorrow definitely had creep factor. The villagers of Moonlight Creek send chills down my spine as I pictured them grouping together, slowly following the main characters with their blank stares. The unique use of water as the object of fear in this book has renewed my trepidation of ever going into an ocean, lake, or river again. Jaws is no longer alone. It may take years again to get me back in." Without physical monsters, the story becomes a psychological thriller with heavy atmospherics, similar to the near-perfect classic film, Carnival of Souls. And like that film, Drowned Sorrow gives its characters a place to center their loss and entrapment. After a summer of beach closings due to Great White Shark sightings, red tides and oil spills, we can thank Vanessa Morgan for giving us another reason to stay out of the water. At least until next summer." "Drowned Sorrow brings an original twist to small-town ghost stories; it pulls the reader in different directions so that when he thinks he knows just what to fear the truth has all but suffocated him. This short, gripping tale combines the universal need for hope and faith in miracles with the unrelenting horror of drowning. Like the characters in it, this novel will grab hold of its readers and will not let go until all imagined details course through the mind like rivers of consciousness. (...) Some will go willingly while others may fight, but Drowned Sorrow will drag each reader on an emotional undercurrent." "This book is receiving a lot of attention. Great horror novels are in short supply when it seems like vampire and werewolf romance have taken precedence in the literary world. Sometimes, it's just nice to get the crap scared out of you. Drowned Sorrow by Vanessa Morgan is definitely a breath of fresh air in the horror literature universe." "I was heartbroken from the beginning of this story, sweated from fear and trepidation in the middle, and wanting to cry by the end. Drowned Sorrow was a rollercoaster ride of mystery, horror and overall creepiness. (...) More than a few times goosebumps showered my skin as the most eerie things I have ever read occurred in this freakish town. The paranormal aspect was very original and the twist at the end really took this book to a whole new level of intriguing. Suspense fans will enjoy this book very much." "This was one eerie, creepy story! Once the tale of the lake is told by one of the townspeople, the story took on an entirely new feel. Using a body of water as the source of the fear is a great idea. Many, many people get spooked out by water and what lurks beneath. The fear instilled in the characters is not done through violence, but through what they cannot fathom. Moonlight Creek is the perfect spooky setting with its isolated location, odd townspeople and very damp environment. (...) This is an interesting spin on the genre. It's a quick read - great for a spooky, rainy night - and I will admit, it kept me turning the pages." "Have you watched The Village, a 2004-movie directed by M. Night Shyamalan? While I was reading Drowned Sorrow I kept comparing it to the movie. There's something not right in Moonlight Creek, but I couldn't figure it out. In the movie The Village, the elders told the young villagers that they cannot leave the village because there are creatures inhabiting beyond the woods. This book was similar to the storyline of that movie; the people living in Moonlight Creek cannot leave their town because they're afraid they won't survive once they go outside the town. I couldn't stop once I started reading this and that was almost midnight! It was not really that scary so I don't consider this as a horror book, but it was the suspense in the story that made the book great! I liked the book's ending; it was a complete surprise! I have never guessed that while reading the book. If you are looking for a great suspense story, you might want to buy a copy of this and you will not be disappointed with it." "The scariest story of the year." "I absolutely loved it. I could tell that if it was a movie I would be probably screaming at it with things like GO GO GO. I am glad I did not get this in the summer otherwise I would probably have been thinking of it as I was in the water. Vanessa Morgan did an amazing job writing." "This book was a very quick and creepy read. The story is set in a creepy little backwater village in the middle of nowhere. The residents are a little unsettling and you can't quite put your finger on it but something isn't quite right. The main characters are there for a short holiday to get away from it all having been recommended by a friend. As the story progresses it becomes more and more apparent that things are not what they seem and the final conclusion to the story was creepy. I liked the premise and there were scenes that were very creepy (especially the scene in the supermarket). The ideas were quite original although it did remind me in style if not content of a series called Invasion which was on TV a few years ago." "Drowned Sorrow is a good, creepy story." "The concept of taking something quite banal such as water and making it into something menacing is a fresh horror twist that probably hasn't been revisited in books since Jaws. The author's talent really showed through the ambiance of Moonlight Creek, which was definitely haunting, and the events that took place in the water were disturbing and well-written. I loved how the villagers became one with the water, which I'm sure will give people who are afraid of the water even more reasons to justify their phobia." "A thirst-quenching blend of science-fiction with a twist of horror. The fear factor is accomplished not with blood and guts, but through what is not seen. Moonlight Creek provides the perfect setting to intrigue horror fans. It's isolated, mysteriously vacant and strangely damp. Simple elements like air, water and fire are used to enhance the claustrophobic entrapment that makes Drowned Sorrow a great rainy night read. It's not often that a horror book can be recommended to young adult readers, but this one fits the bill. It's not juvenile in any way, but brings the chills without gore, drugs or sexual violence. How, you ask? You've got to read it to find out." "The concept of the water being a source of unknowable fear really creeped me out. But what I liked most was the execution of the villagers playing it all out. I thought how the people were one with the water, literally, was great. I actually felt a little dank reading it considering water was dripping and running everywhere. I found myself wanting to keep reading to see how it all played out." "What a good read Drowned Sorrow was! The beginning of the book catches you and doesn't put you donw until the end. I truly enjoyed it and it made my weekend!" "From the synopsis, I knew this was going to be good and it certainly was! From the first chapter, Drowned Sorrow had an ounce of spookiness to it. The mystery of Moonlight Creek was very interesting. It would definitely be the perfect mystery for a thriller movie. Drowned Sorrow was in multiple POV's wich was interesting because you see the town from the residence's view and from the visitor's view. (...) Drowned Sorrow was a great read and it certainly kept me thinking about it afterwards!" "Megan Blackwood is a succesful investigative reporter for national television when her teenage son's suicide irrevocably alters her world. She divorces her husband Michael en quits her job to be with her daughter Jenna. 7 months after her son's death, they head off to Moonlight Creek for the summer. The small village seems like a great spot to get away from it all. There is something, however, about the lake, the water and the inhabitants that does not add up. Their perfect vacation becomes the perfect setting for a horrifying tableaux that neither of them wanted to be a part of. This is my second Vanessa Morgan read and she always gets into me. I mentioned in my review of The Strangers Outside how that short story creeped me out. This time, I had a strange dream the very night I was done reading Drowned Sorrow. I was in a room with some members of my family and water was rushing inside. Somehow I found myself on top of a bookshelf and I was screaming at everyone to avoid the water at all cost." "Drowned Sorrow took me completely by surprise. I have to admit that I never saw the ending coming. Or for that matter, I was surprised throughout most of the book. The characters created by author Vanessa Morgan were perfectly cast, as was the setting. This has been a very enjoyable read. But I will tell you that I will probably think twice before spending even a weekend at a small town with a lake." "I liked this book a lot. It became more and more interesting and I found it hard to put down. So if you are into science fiction thrillers on the lines of Stephen King, then this is the book for you. Even if you do not like these kinds of books, give this one a try. You never know that you might like it." "Morgan did an excellent job setting the scene for this book. Complete with deserted streets, worn down buildings, Moonlight Creek came off as pretty damn spooky. All the buildings are old and they all seem to leak and smell. Nobody is ever around, unless it rains, and the residents are just plain creepy. I could totally picture walking through this town in my head. As for the storyline: I know I've already said it, but I'll say it again: creepy! That's the best way to describe this story. The idea is very original; I haven't read anything like it before. Not only was this a thriller, but there was something deeper going on to give the story some real depth. The characters were faced with not only hardships physically, but each one was struggling emotionally as well. I found Morgan's writing to be evenly paced, straight-forward and clever. She really sets us up for some shockers here and brilliantly so. Overall, Drowned Sorrow is a spooky, yet emotionally charged story. I truly enjoyed it. So much that I read it all in one sitting! I definitely recommend you give Drowned Sorrow a read." "What is in the water? And where is everyone? These are the questions that plague the characters in this truly creepy story. This story will certainly make you think twice about the next time you want to take a dip in a lake. I'm a huge horror fan and I'm quickly becoming a big Vanessa Morgan fan. She knows just how to tell a story to make you re think everything you think you know. You'll be checking your bathing suit at the door and opting for tanning over swimming after reading this one." "The atmosphere in Drowned Sorrow reminded me of Silent Hill. The premise is kind of the same, in which once you enter the town there is no possibility of leaving. (...) As someone who typically hates horror book endings, this one I really liked. Dark, sad, and completely rational." “Ambiance et thématiques ne vont pas sans rappeler le Rosemary’s Baby d’Ira Levin ou The Village de M. Night Shyamalan. En fait, ce roman aurait constitué un excellent épisode pour The X-Files à ses débuts (avant que la série ne passe du fantastique à l’espionnage pur et dur, à mon sens, beaucoup moins imaginatif), ou trouverait parfaitement sa plaçe en adaptation pour la collection des Masters Of Horror qui réuni les plus grands maîtres du genre à travers le monde (John Landis, William Malone, Don Coscarelli…)." I love these reviews! Can't wait to read this one also! I simply love the review' 'The female version of Stephen King'. That's got to be one of the greatest. I love his work! I'm now following this blog, so will be keeping in touch. Nice blog, Vanessa. Happy jogging. I'll be back to read more reviews. Jogging by to say hello. Can't stay long. Great Blog Vanessa and amazing reviews! Hey, thanks for stopping by my blog. Your books sound great. I'll have to add them to my ever growing "to-read" list. Thanks for stopping by my blog. "disturbing gem of the horror genre written with a knowledgeable appreciation of the classic style," best I've heard it put. Thanks for stopping by my blog! 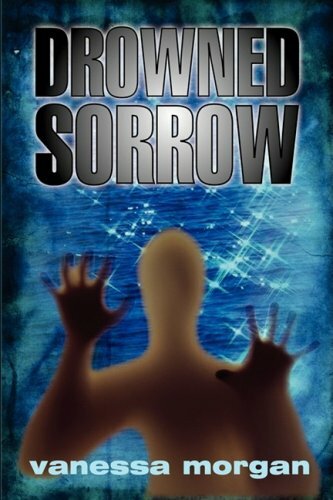 You're a writer I see :o) Drowned Sorrow sounds intriguing! I must admit I don't read horror often, but I'm putting your book on my TBR list! I hope you're having a great Thanksgiving weekend! Thanks for stopping by Skelton's Book Tree:-) Your novel Drowned Sorrow sounds fantastic. I'm always curious when an author is compared to King...I'm gonna have to check this one out! Congrats on all the good reviews, the book sounds really creepy and a great horror read! More stupid eurocrap America will never read. Why does anyone bother writing it if they're never going to read it. Trying to rewrite America into being european/asian descended never works. The Americans kick them out every time, or kill them. Their science is better than eurasian science for a reason, and they know who and what they are better than eurasians ever will at this point. Vanessa Morgan is too beautifulllllll. I don't know about that drowned sorrow cover it does strange things to my stomach.